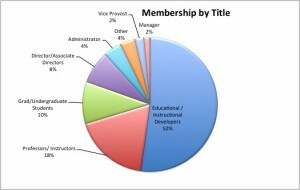 The Educational Developers Caucus is a group of higher education faculty, staff, consultants, and graduate students who work with administrators, instructors, and teaching support staff to systematically develop skills, knowledge, values, processes, and procedures to help instructors bring about effective student learning. The STLHE was started by a group of people who performed this very role called “instructional development” in the 1980s. As the STLHE grew to embrace all those who care about higher education, the EDC was created as a separate constituency of the STLHE to provide a forum for those whose primary focus continued to be the systematic development of teaching skills and to enable debate, discussion, and collaboration on programs, methods and strategies to enhance teaching and learning on our campuses. Any registered member of STLHE who supports the aims of the EDC is welcome to join. See the EDC Values that underpin our work and the EDC Living Plan identifies current themes and topics of interest. EDC Grants – up to $2,500 are available for educational development projects, particularly those that involve collaboration with other universities and projects of broad benefit. For more information see EDC Grants. Action Groups – that help advance the living plan of the EDC . These groups are dynamic, changing, and involve a group of people who work on a project of mutual interest (by videoconference, teleconference, or in person). More information on the action groups. NOTE — You will automatically be added to the EDC mailist unless you indicate otherwise on the online application form. The EDC establishes a schedule of annual membership feels to support its work. 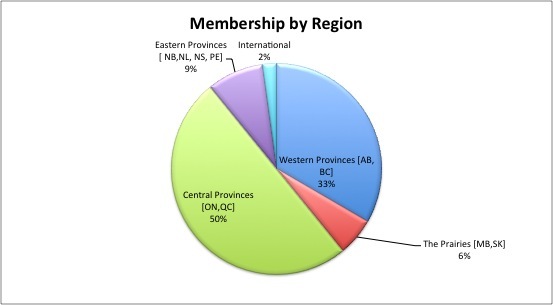 Changes to the membership fee structure are determined by the membership at the Annual General Meeting. 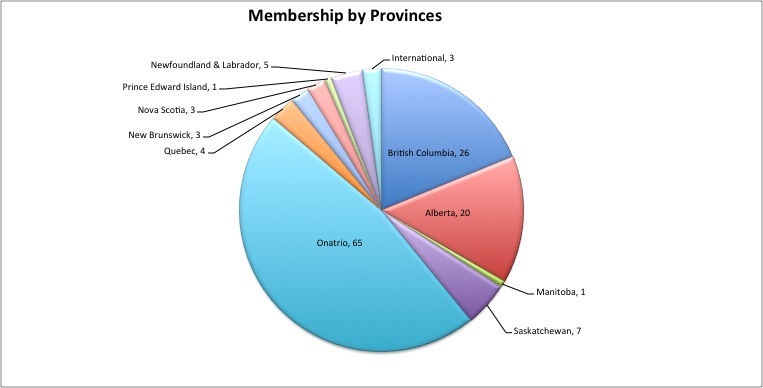 As of June 2013, here’s a snapshot of our membership (click for larger images).